Simon Turner and colleagues in the Fishers Imports Service department repeated and reliably deliver exceptional service for our Mercedes Benz (MB). Fishers Imports Service delivers top quality MB service at a fraction of dealer prices from tune ups and brakes to replacement tires. "Fishers Imports are the best!!" The best experience I have ever had purchasing a car, I got what I wanted a had the purchase taken car of so quickly and they are the best!! "You can be confident. " There's no need to be concerned about bringing your car to this dealer for service. Best service manager I've ever met. Skilled techs and pricing that I know is better than any of the nearby service centers. Bought it here, service it here. Highly recommend! "Great service matches great sales!" I have purchased my last two vehicles here and couldn't be more pleased working with Amir, Peyman and their team! 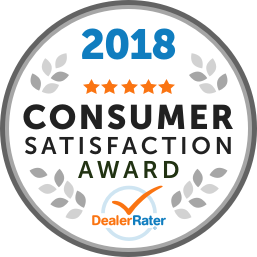 I have also had my current car in FI's service facility twice and can say the same things about both the fine customer service and work performed. Simon and Amina are detail oriented and committed to satisfying the customer's needs! "Best car delarship in town "
Mo was the sales representative on my car purchase and I couldn’t have asked for a better experience. With this being my first car purchase in the adult world he made sure to go over everything with me making sure I was following the entire time. With no doubt I would recommend this car delarship and Mo for the help of your new purchase. I will see you again when it’s time to trade in! It's rare to find a business that satisfies on all levels... but Fishers Imports does exactly that. They set the bar, and IMO, are the Gold Standard in the auto industry. In 2017 we bought an SUV from Terry, and the process was flawless. The vehicle was impeccable, and really showcased the type of inventory and delivery Fishers Imports are known for. Their Service Staff, led by Simon Turner, is the best we've ever worked with, and we trust his advice, without question. The "big 3" dealerships cater to their own egos and how many cars they can sell... but the real bottom line is Fishers Imports puts their customers first, and it shows. They provided very great service & also detailed print out of what was done and what may need to be done in future. Very pleased as always. I received an oil change and recommended spark plugs earlier this week on my Mercedes GL. Great service like always! They provided a printed multipoint inspection report, which came back squeaky clean. I’m very happy with my purchase from Fishers Imports and all the continued service they provide.